Cells are fundamental functioning units of the human body. Every day there are hundreds and thousands of cells die or are replaced in human beings. Some organs such as the skin and liver have highly effective self-repair mechanisms to replenish the lost cells with local progenitor cells, but other organs such as the brain and spinal cord do not have much self-repair capability, particularly in the adult stage. Classically, cell therapy is meant to supply new cells to the organ by transplanting external cells, typically stem cells that can be expanded in in vitro cultures. 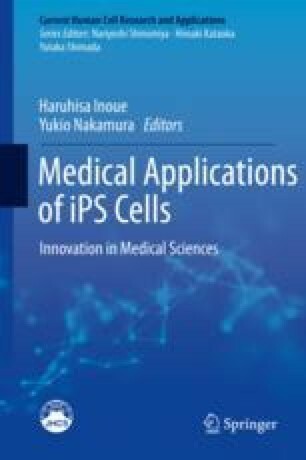 The induced pluripotent stem cells (iPSCs) provide an unprecedented cell source that can be derived directly from patients for tissue repair. In this review, we summarize a new technology called “in vivo cell conversion” that makes use of endogenous cells to trans-differentiate into another type of cells to replenish the lost cells caused by injury or diseases. The advantage of in vivo cell conversion is to relieve the burden of in vitro cell culture that is often difficult to control in terms of batch-to-batch variation and the risk of immunorejection after transplantation. In vivo cell conversion has been successfully achieved in the brain, spinal cord, retina, heart, liver, and pancreas. With the advent of sequencing technology that can decode the transcription factors critical for cell fate determination, it is in theory possible to convert any cells into their neighboring cells in vivo, with a right combination of transcription factors. Because it is using patients’ own internal cells as the resource for tissue repair, we predict that in vivo cell conversion will be the next-generation cell therapy for regenerative medicine.